Aizawl, Oct 26 : The Lal Thanhawla-led Congress government in Mizoram, which has spent three years in office, has kept 20 of its 167 electoral promises. Interestingly, eight of the 167 objectives the Congress party had promised to fulfil had already been achieved during the previous government run by Zoramthanga-led Mizo National Front. This means that the Congress party unknowingly included them in its election manifestoes. With these, 28 of the 167 objectives have been fulfilled. The progress report was highlighted by civic organisation Prism (People's Right to Information and Development Implementing Society of Mizoram) during its tenth Mizoram Watch programme here today. "While the Congress government is following up 97 points of its pre-poll promises, another 29 points remain unattended. It has also gone against its 11 points," Prism president Vanlalruata said. The Congress government, formed in December 2008, has spent 76.66 per cent of the five-year term. Prism also revealed that most of the agendas which remain unattended are poverty-oriented, contrary to the Congress government's commitment to be pro-poor. "19 of the 29 objectives which remained untouched are poverty alleviation programmes, whereas most the 20 objectives which have been fulfilled cannot be considered as great achievements," the Prism president said. The fulfilled agendas included formation of police welfare commission, ethics committee, state finance commission, education reforms commission and infrastructural development authority. But these committees/commissions are yet to fully function, he said. In term of department-wise achievement, chief minister Lal Thanhawla lags behind all other ministers. Lal Thanhawla, holding six key departments, including power, works and vigilance departments, has 31 promises to keep of which only three have been fulfilled, including one already done by the previous ministry. Fifteen tasks in his six departments are being followed up. Notwithstanding Lal Thanhawla's promise to "root out corruption," the electoral promise to form state vigilance commission to "check the ministers and ruling MLAs from going wrong" has not materialised. Zodintluanga, who holds four departments, including sports and information technology, has 16 manifestoes to fulfil, of which five have been achieved, including one by the previous ministry, and is working on another 19 projects. 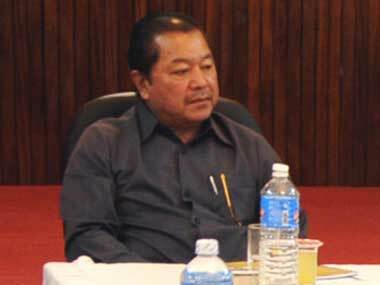 Representatives of all political parties attended the Mizoram Watch programme.